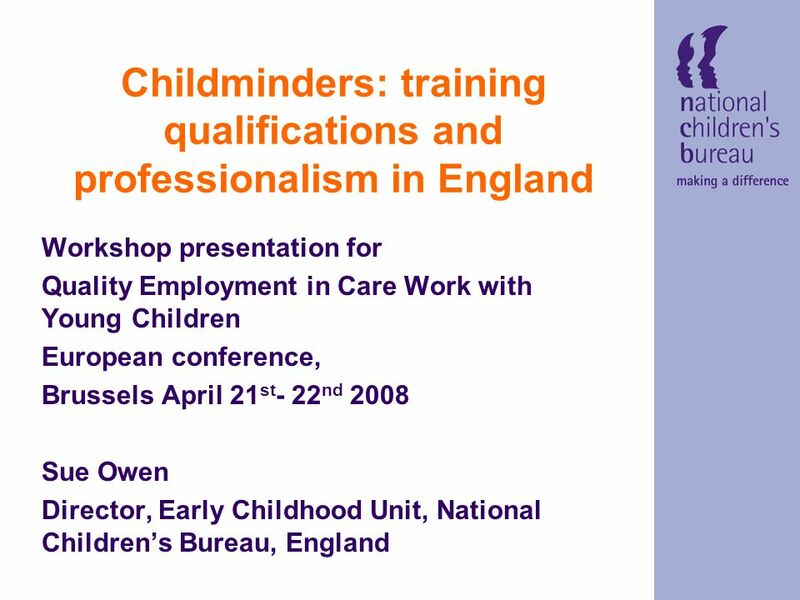 Childminders: training qualifications and professionalism in England Workshop presentation for Quality Employment in Care Work with Young Children European. 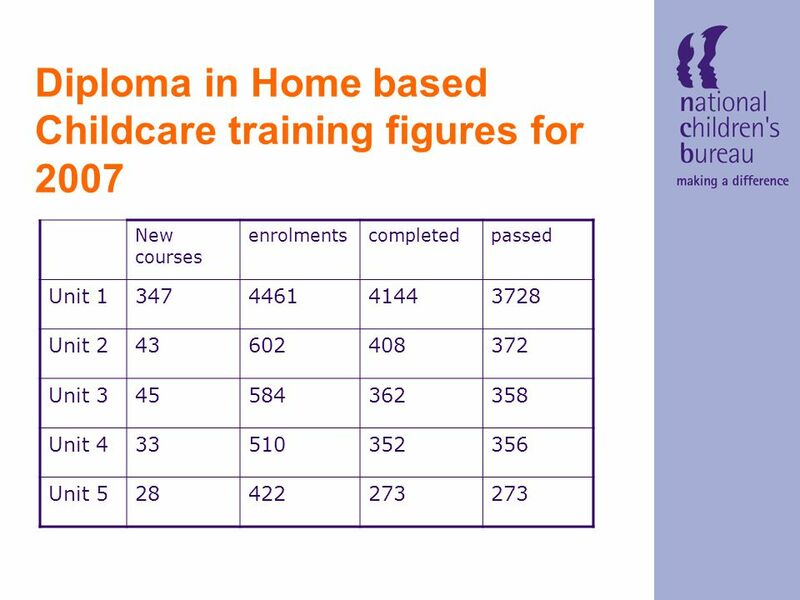 16 Early Years Professional Status (EYPS)  A graduate in every childcare setting  the Children’s Workforce Development Council (CWDC) published the updated Early Years Professional National Standards on 18 July 2006. 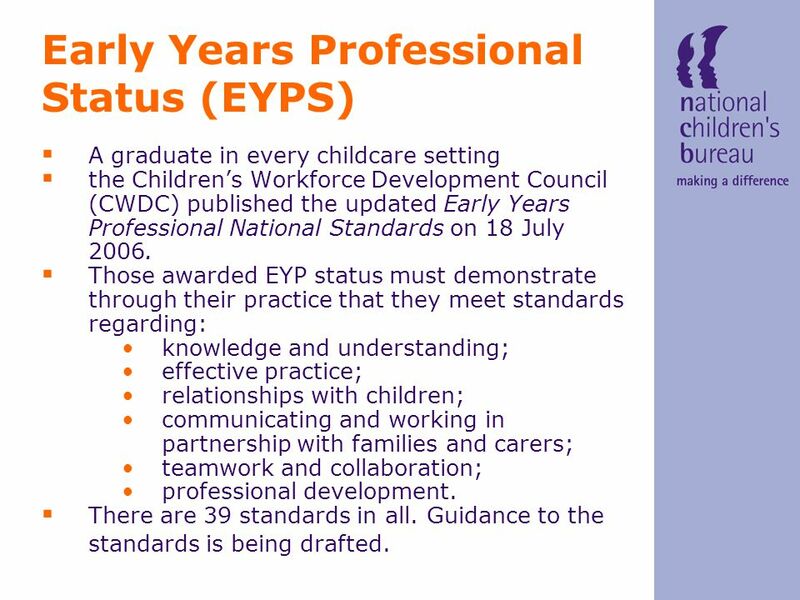  Those awarded EYP status must demonstrate through their practice that they meet standards regarding: knowledge and understanding; effective practice; relationships with children; communicating and working in partnership with families and carers; teamwork and collaboration; professional development.  There are 39 standards in all. Guidance to the standards is being drafted. 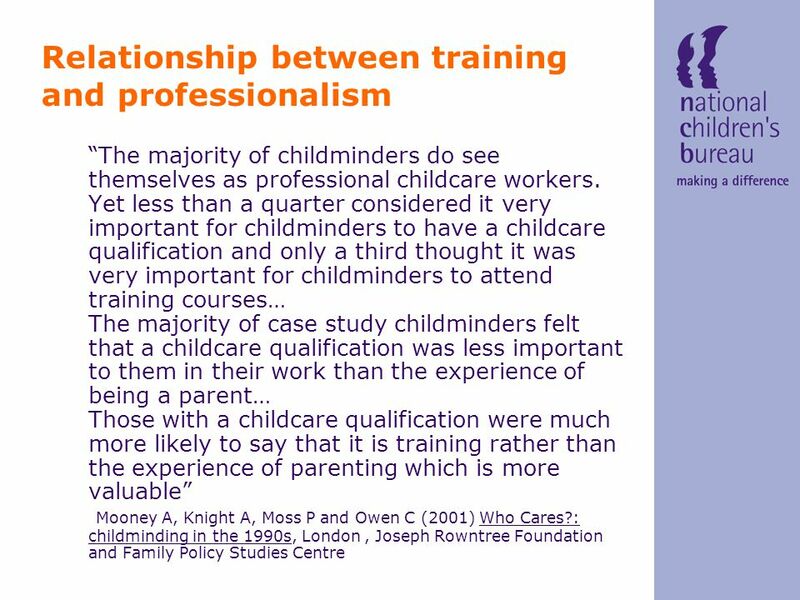 Download ppt "Childminders: training qualifications and professionalism in England Workshop presentation for Quality Employment in Care Work with Young Children European." The progress of the ECEC Portal ECEC Network 22 nd of June, 2010 Ineke Litjens Directorate for Education Education and Training Policy Division. 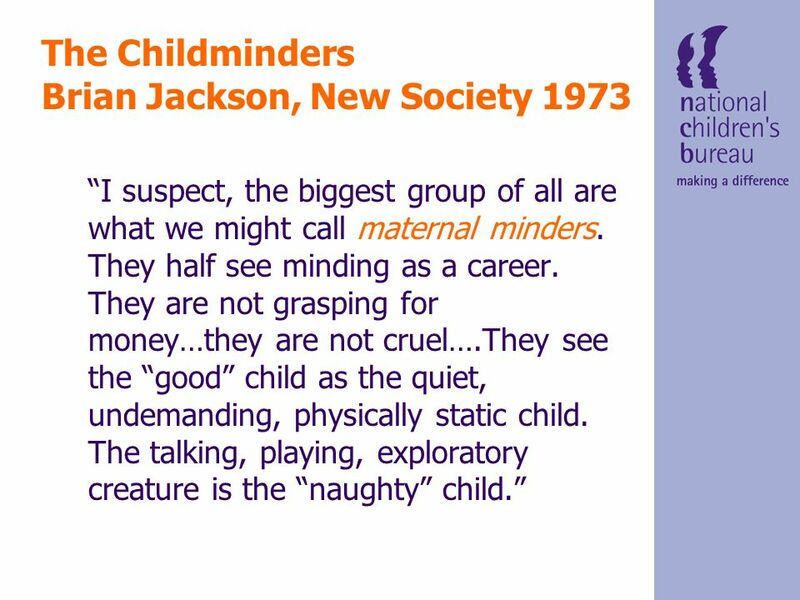 Building on Experience Madeleine Starr Carers UK. 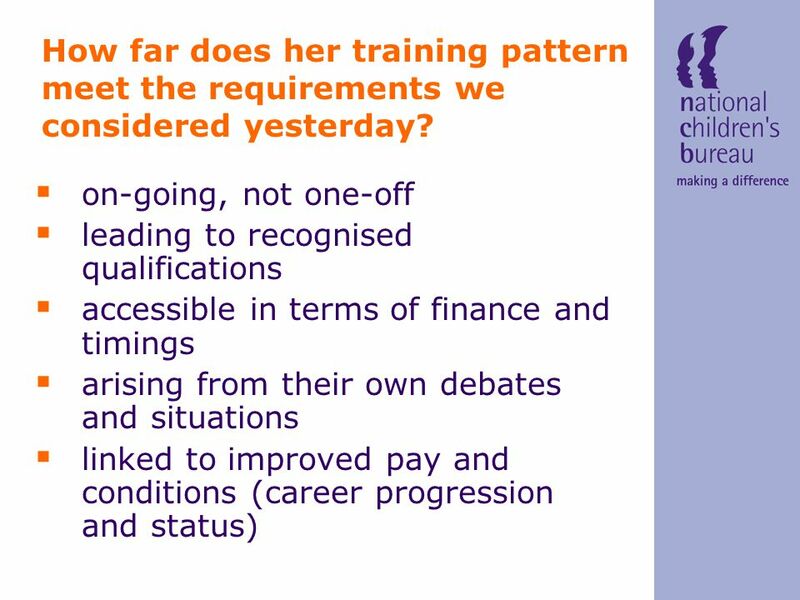 Proposed HND for Social Services Briefing Session March 2007. 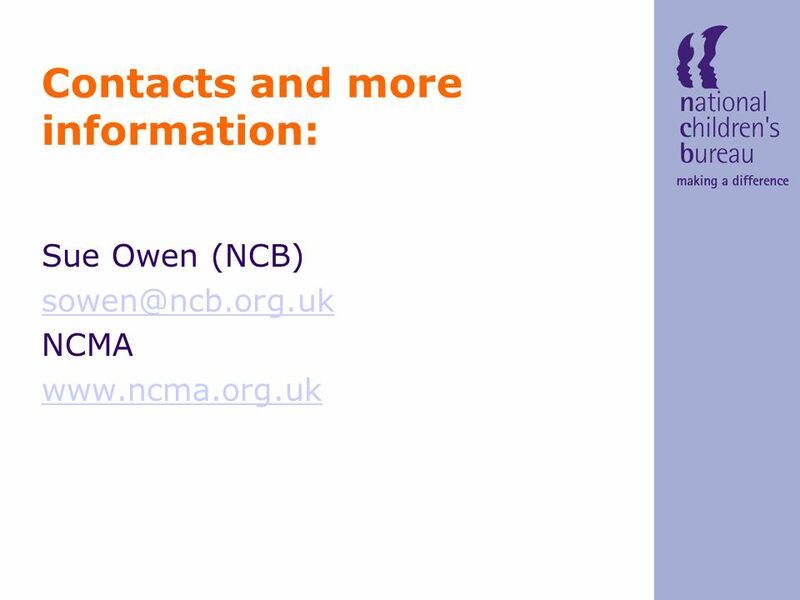 Providing Effective Information, Advice and Guidance Pat Rosser Rosser & Terrier Ltd. 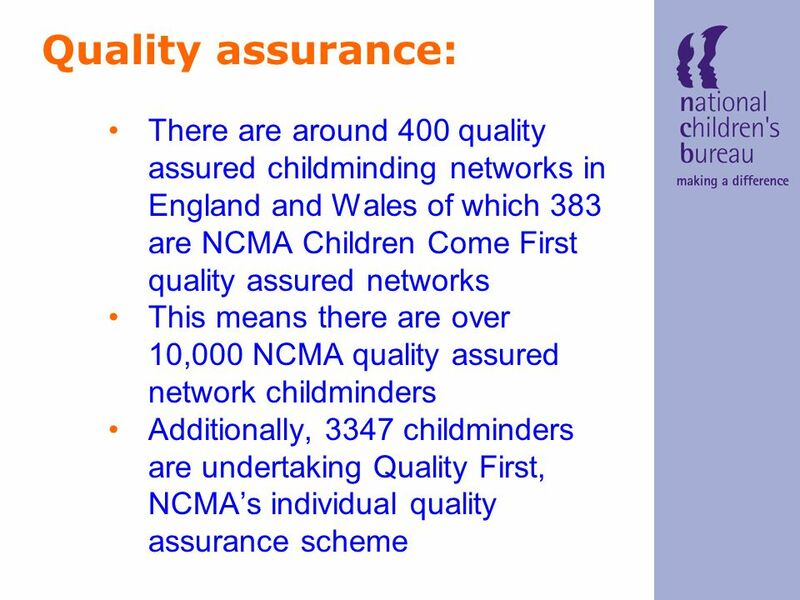 Page 1 The provisions under the Safeguarding Vulnerable Groups Act London LADOs network 3 October 2007. 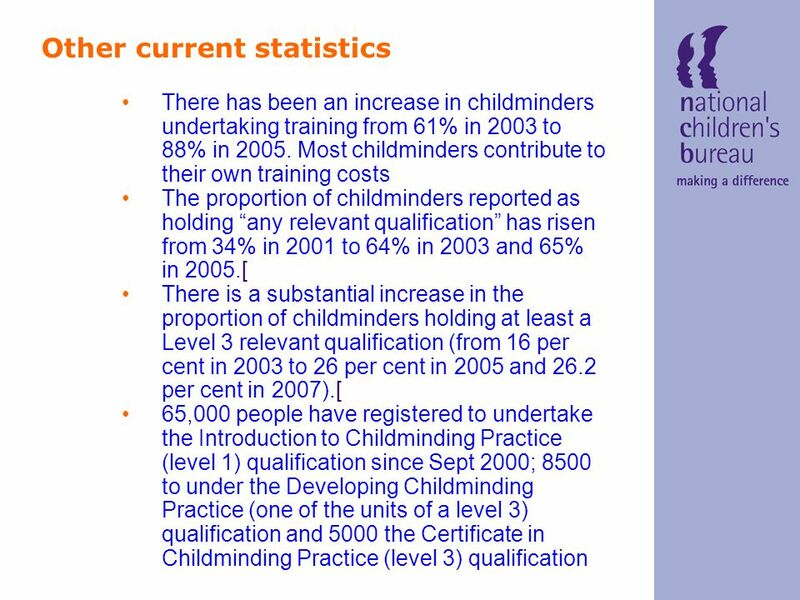 The Vetting and Barring Scheme and the Independent Safeguarding Authority: GO London LADOs, 4 Dec 2008 Presented by: Peter Swift. 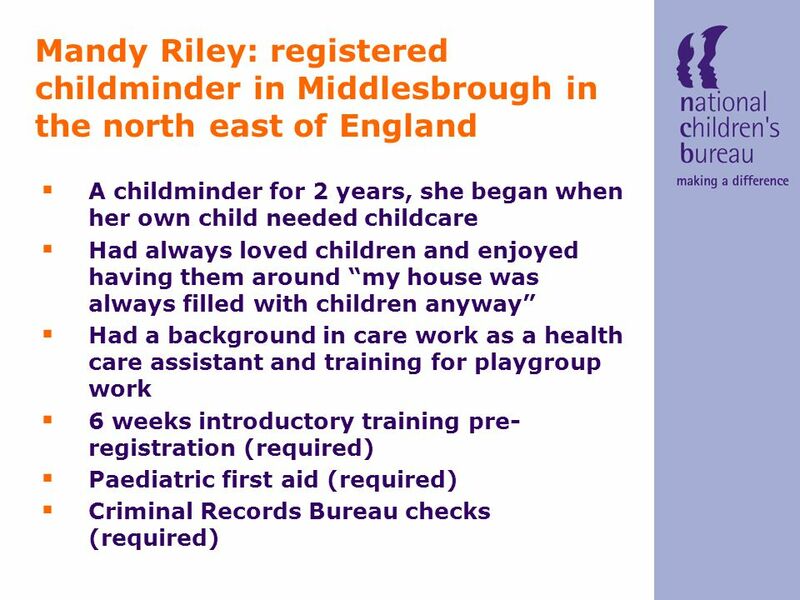 East Midlands Change for Children Regional Learning Project Anne Houlihan Children, Young People & Families Workforce Development Council Creating the. 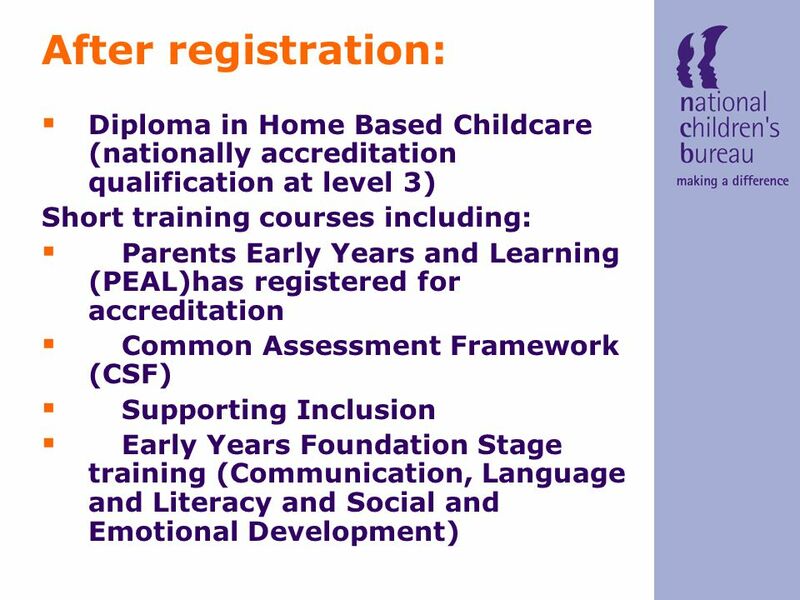 PP Step in to Learning Improving the skills of parents and carers. Improving the skills of health professionals. A training and development programme for. 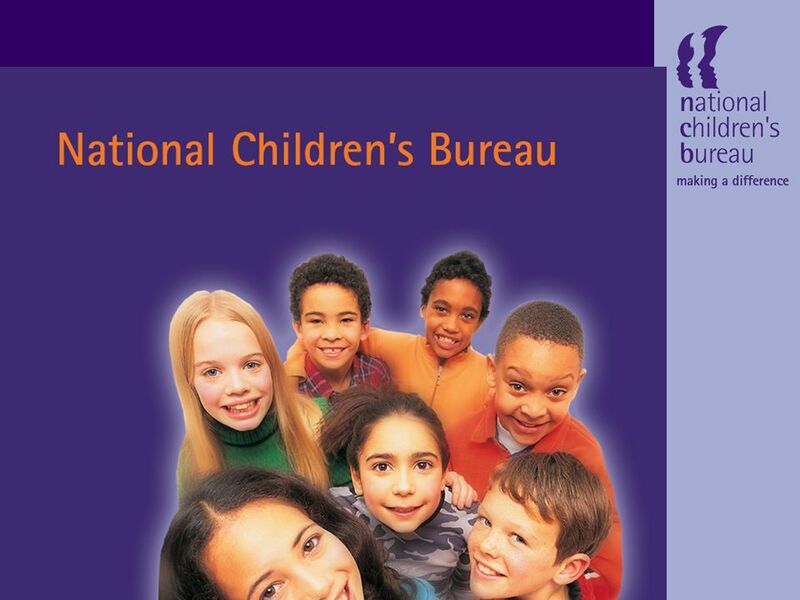 Core Knowledge and Competencies, Professional Standards for Working with Children Birth Through Age Eight and in Afterschool Programs NJ Instructor Approval. 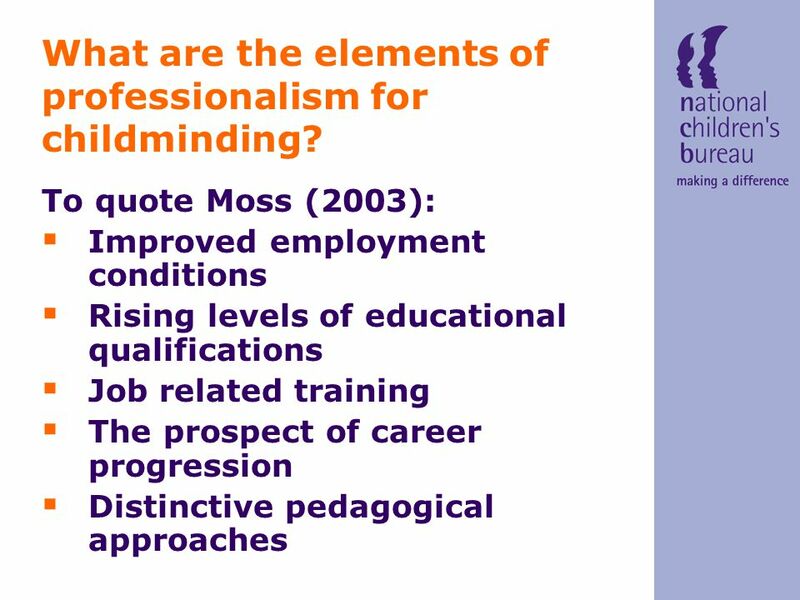 Raising Quality: Early Years Sector-Endorsed Foundation Degree Graduates views about their professional learning and practice Elaine Hallet The University. 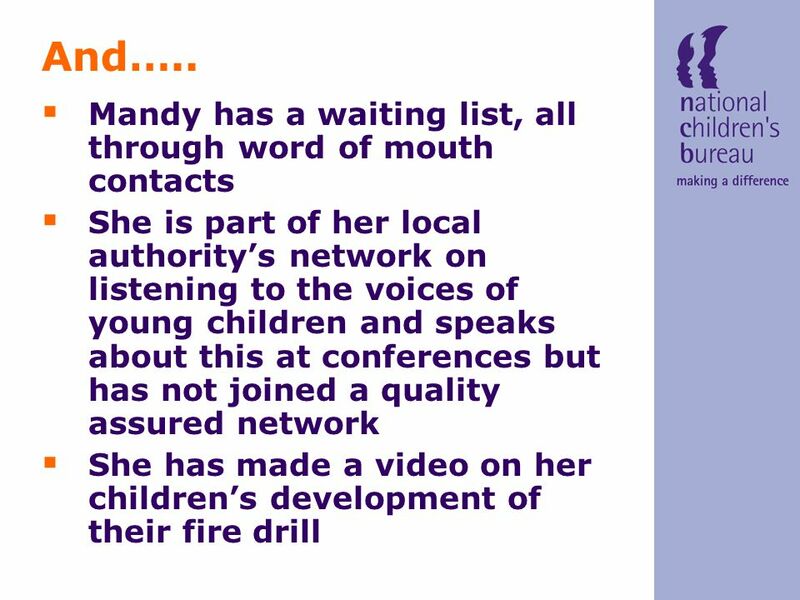 Exploring an outcome-led approach to work with young people North West Region Wendy Flint 13 June 2013. 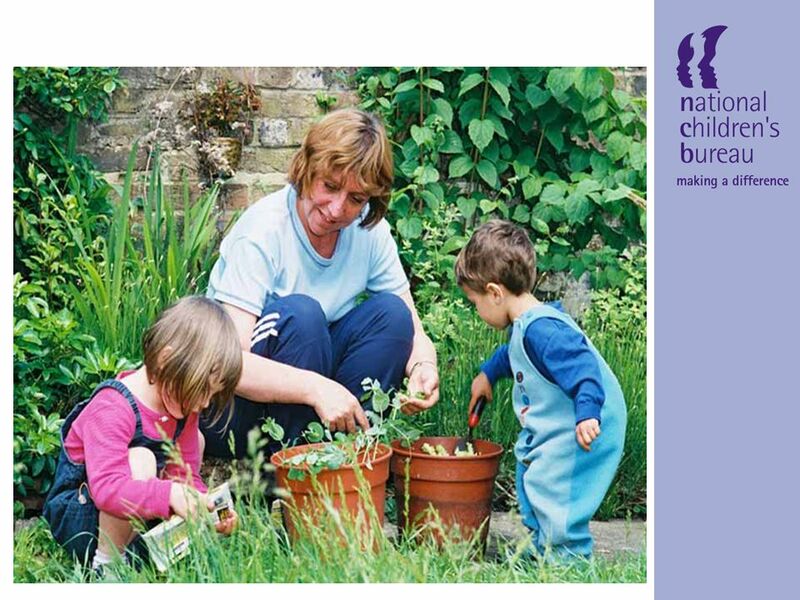 Partners in care Short Breaks for Children and Young People with Physical and Learning Disabilities HOSC 15 th July 2010 Sharon Matson Elizabeth Payne.